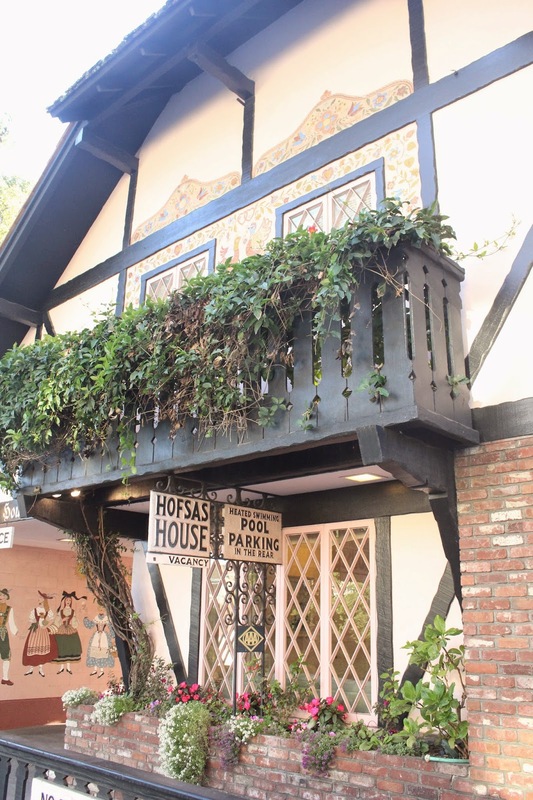 The Hofsas House Hotel seems like something out of a European movie, radiating character and charm. It’s in an ideal location just three blocks from the main street in town and eight blocks from the beach, so you can walk everywhere, no car needed. The owner, Carrie Theis, took over the property from her grandmother who built it 67 years ago, and has done a wonderful job preserving the family hospitality. This is seen in the delightful touches during your stay like complimentary fresh coffee and pastries from a neighborhood bakery, and your own fireplace to fend off the chilly coastal nights. Each of the 38 rooms are quite spacious and uniquely designed with Bavarian-inspired decor including a mix of new and vintage pieces (ours had a fabulous pale pink velvet chair that I want for our apartment!). 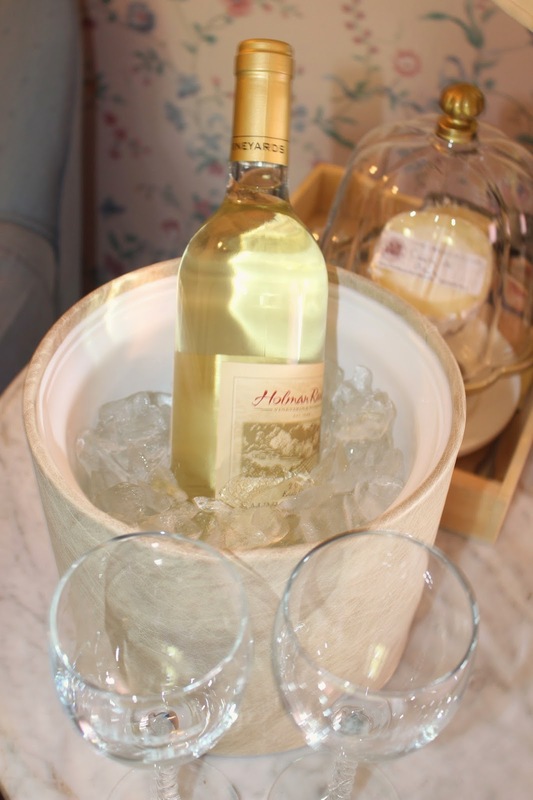 Make sure to order a wine and cheese pairing upon arrival – our bottle of Holman Ranch sauvignon blanc and selection of local cheeses from The Cheese Shop made for the perfect happy hour after we checked in. 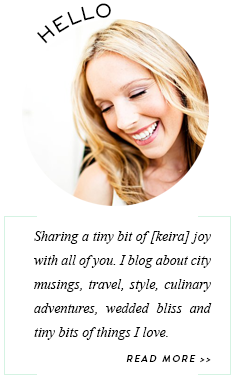 Carrie was also more than happy to give us recommendations on what to do, see and taste, and her suggestions were spot-on for a relaxing yet adventurous weekend. If you love tapas, paella and a small, trendy ambiance, you must try Mundaka in Carmel-by-the-Sea. We walked over here on Friday night and it was a fun way to kick off our weekend. Don’t miss the pan con tomate (my favorite appetizer from my time living in Barcelona), the traditional seafood paella (easily enough for two or three people) and the cauliflower gratin (not typically Spanish but so decadent). I've tried many coffee shops in Carmel and this one is by far my favorite. We walked here Saturday and Sunday morning for lattes and donuts (it was a special treat kind of weekend!). If you have time afterwards, head down the street a few blocks towards the water and take in the beautiful views of the ocean and iconic Pebble Beach Golf Course. Or you could always head straight to the boutiques. Truth be told I am not sure if I’d ever been to this beautiful place before. Carrie recommended we spend an hour or so walking around and it was well worth it. The Mission is more than 300 years old and the grounds are incredibly well kept with lush gardens all around the basilica. This casual European bistro and pizzeria is just a couple blocks off the main street in town so there's no reason not to head on over for lunch after popping in a few stores. They make the most delicious pizzas and desserts in a relaxed environment decorated with European antiques. We opted for two pizzas: one with kale and almond pesto and one with mushrooms along with a glass of Prosecco. And then we topped it off with a huge bowl of chocolate mousse. Absolute perfection. About a year ago, the wine scene quietly started growing in Carmel with local wineries opening small tasting rooms in town...since then the number has grown and it's giving Napa a run for its money. Twelve local wineries have partnered with the city of Carmel to create the Carmel Wine Walk, a $65 booklet of wine tasting passes that get you 10 wine flights at participating tasting rooms. It's a fun way to explore the town and taste the local wines. 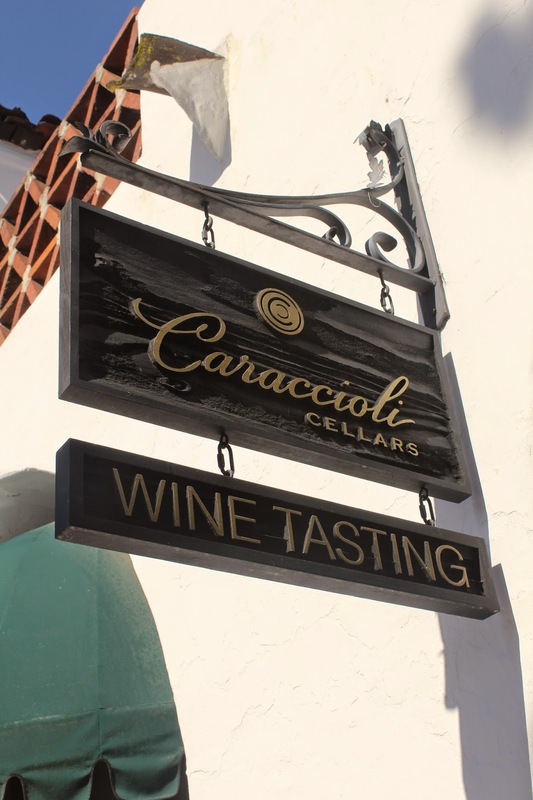 We chose to stop in two tasting rooms: Vino Napoli, an Italian-themed spot known for their Chardonnay and "Vesuvio” (a blend of Cabernet, Merlot & Syrah) and Caraccioli, a smaller tasting room with a loungey vibe and fantastic rose champagne. When we were planning our itinerary, Carrie recommended we take 17 Mile Drive to our dinner in Monterey. This was another first for me and I’m so surprised I’d never done it before. 17 Mile Drive is a stretch of road that wraps around the coastline, offering breathtaking views...make sure to stop off and take photos along the way. If you love seafood – especially calamari – and want to be near the ocean, Abalonetti on Fisherman’s Wharf in Monterey is the place to go. They are all about fresh local seafood and the menu has about 10 different calamari dishes ranging from BBQ'd to full steaks. The fried calamari we ordered was so fresh, tender and crispy with the perfect amount of seasoning. Our waiters were so hospitable and helpful with recommendations. If you end up wanting something a little sweet after dinner here, head down a few doors to the candy shops where you’ll find fresh salt water taffy. 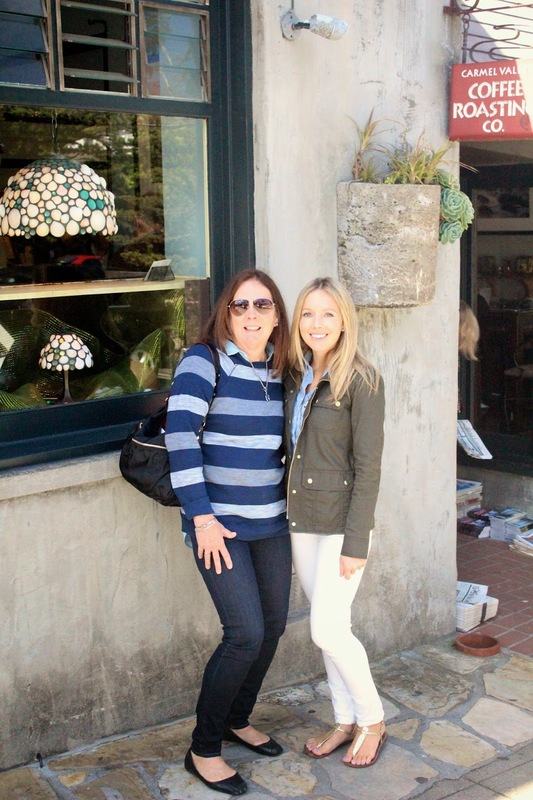 From our adorable pink room and top notch dining experiences, to local wine tasting and Fisherman’s Wharf, this was a new and memorable way to see Carmel. 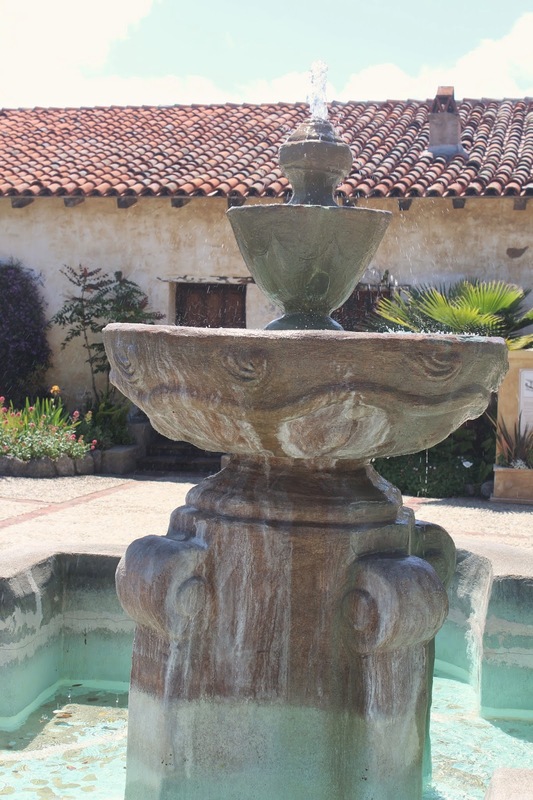 Our final adventure included a day trip to Carmel Valley for a celebratory lunch and wine tasting - more to come in another post! 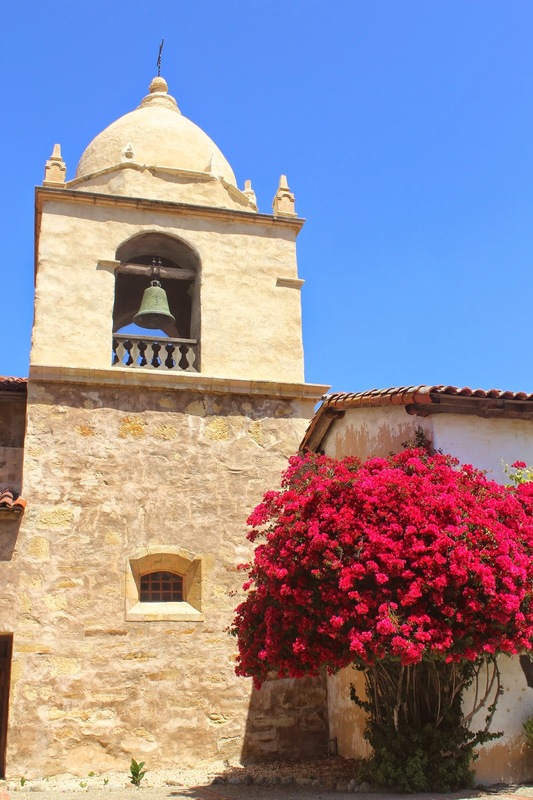 Whatever your itinerary ends up being, I am sure you will fall in love with Carmel’s charm and beauty.